1. 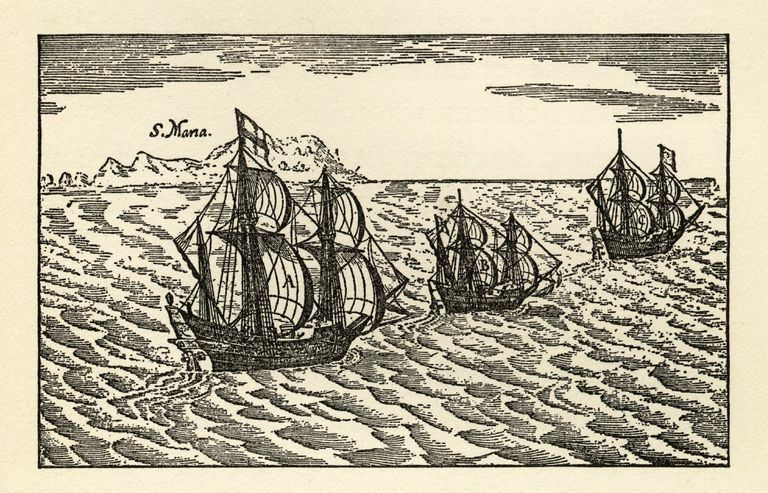 What was the original goal of Christopher Columbus' first voyage? Before embarking on his first voyage, Columbus promised to find a new, quicker route to the lucrative West Indies trade markets, where he wanted to trade for spices and silk. Instead of achieving his goal, however, he landed in present-day San Salvador, Cuba, and Hispaniola. 2. Who financed Christopher Columbus' expeditions? Columbus' voyages were financed by King Ferdinand and Queen Isabella of Spain. In return for their sponsorship, Columbus promised to find a faster trade route to the West Indies, which would increase Spain's access to wealth. 3. Which term best describes the policies and practices enacted by Spanish explorers in the New World? The start of colonialism in the New World can be traced back to Columbus' second voyage, during which he established the settlement of Isabella on the island of Hispaniola. For the next century and a half, Spanish settlers journeyed to the Americans to seize control of land and expand their empire. Great work! Now, get ready to learn about the early European settlement of America.